Since making its appearance in the American market, the Maserati Levante has turned heads and captured the attention of drivers. And now, it’s won even more awards. Inspired by Italian design and heritage, and crafted with impeccable care, these awards were highly anticipated, and further solidify the reputation of the Levante and one of the world’s finest automobiles. Riding on the coattails of the 2018 Maserati Levante being a contender for Motor Trend SUV of the Year, the 2019 model looks towards the future and has already won two awards with the GTS edition. A total of 57 pickup trucks, SUVs, crossovers, and commercial vehicles were entered in the competition, and 69 Texas Auto Writers Association (TAWA) members were in attendance. The competition faced challenges due to muddy conditions and wet roads — both of which are environments where the Maserati Levante excels. For consumers in the Northeast United States, that’s an important factor when purchasing any vehicle. After two full days of on- and off-road vehicle evaluations, TAWA members submitted their votes. Considerations were given to aspects including off-road capability, overall utility, value, performance, as well as interior and exterior styling. Ultimately, the 2019 Maserati Levante GTS was awarded SUV of Texas and Full-Size Luxury SUV at the end of the competition. The Maserati Levante GTS is the latest in innovation for the manufacturer with a twin-turbo V8 engine, finely tuned chassis, and a restyled exterior combined with luxurious interior. The chassis has been meticulously tuned to handle the higher power output and provides an exhilarating driving experience without compromising comfort and safety. Updated to suit the demands of the Levante GTS, the Q4 intelligent all-wheel drive is designed to deliver the classic rear-wheel drive experience in normal driving conditions. Under regular driving conditions, the Q4 distributes 100 percent of the engine’s torque to the rear wheels. In the event of snowy conditions, loose surfaces, or slick roads, the system alters the front/rear torque split in a mere 150 milliseconds. 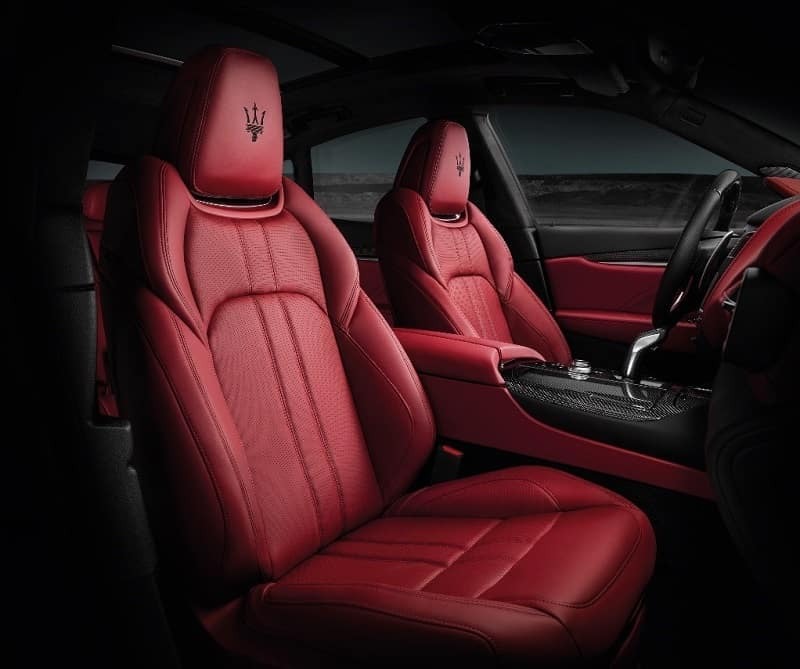 The interior design of the Levante as elegant and distinctive as it is luxurious. Premium leather upholstery, sport pedals, Harman Kardon Audio system with 14 speakers, and improved climate system ergonomics all play a role in creating an ideal environment. The GTS trim takes the Maserati to a new level of sportiness thanks to an elegant restyling that focuses on the lower front fascia and rear bumper. With such a strong history in finely-tuned Italian design and sports cars, the 2019 Levante GTS is a welcomed addition to the lineup and creates excitement for the future. To find a Maserati that suits your lifestyle and needs, visit our showroom on Central Ave in Albany, New York.